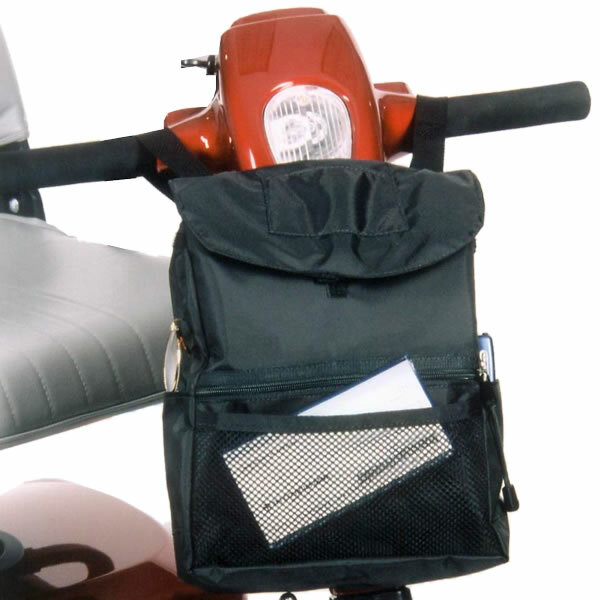 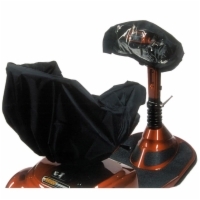 The deluxe Tiller Bag attaches to either side of your mobility scooter's tiller. 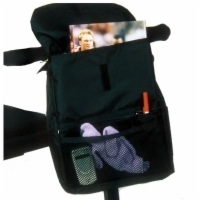 It has multiple pockets and even comes with a front zippered pocket. 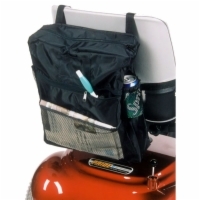 The included hook and loop leash prevents the bag from unwanted swinging.